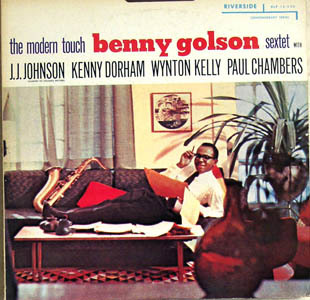 Japanese Pressing of Benny Golson's 1957 "The Modern Touch" LP with J. J. Johnson, Kenny Dorham, Wynton Kelly and Paul Chambers. Black Riverside label. Jacket and disk both excellent.